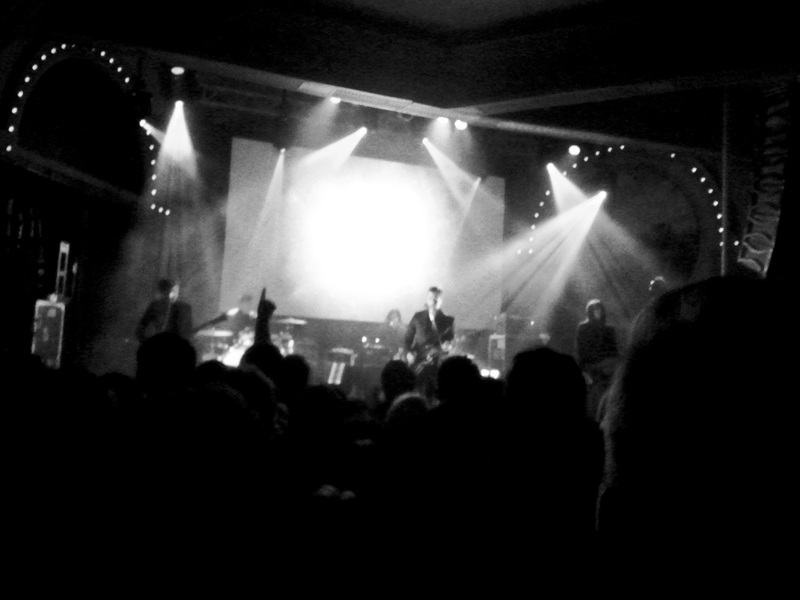 Interpol hit the Crystal Ballroom last night feeling a bit rejuvenated. Their latest album, El Pintor, was released last week to the best reviews that the band had received in a while (including our own rave, published on Tuesday), and they seemed eager to build on that momentum. As the band geared up for a full-fledged fall tour in support of the album, a lot of the press from the early shows emphasized the prevalence of the band’s early material in their sets. While many of the highlights of their beloved first two albums were performed last night, Interpol didn’t shy away from performing new material, sprinkling the set with several cuts from El Pintor. Whereas before it often seemed that the band struggled to maintain an effortless cool in their performance–I have a distinct memory of their last Crystal Ballroom performance, which came during the Antics tour, where Paul would smoke and rest his still-burning cigarette on his guitar’s headstock while he played–last night the band was focused and intent on nailing their performance. Daniel Kessler has always been a sparkplug and in his own little world with his various nifty dance-steps (though the Crystal’s stage put a damper on some of that footwork), but last night Sam Fogarino was locked in with a blistering performance, displaying a great ability to shake off the crowd’s enthusiastic-but-off-beat clapping. Most significantly, Paul Banks was in a cheerful mood and seemed especially engaged, and it came through with one of the best performances of his that I’ve seen. The stage show was fairly simple, alternating between green- and red-focused light setups and a simple backdrop, alternately displaying the hands of the El Pintor cover with the occasional abstract visualization. The focuse was on the songs, and though the curse of the poor acoustics of the Crystal reared its head once again (Sam’s hi-hat and other auxiliary percussion were poorly mic’d, the keyboards were always buried, and Paul’s guitar spent most of the night turned down too low), it was still a riveting set. 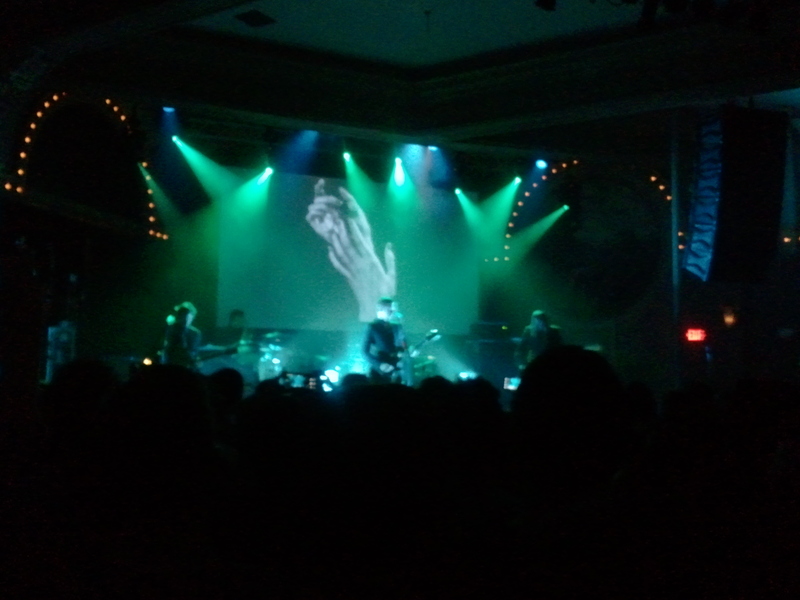 After opening with “My Blue Supreme” from the new album, Interpol revved the crowd up with the one-two Antics combo “Evil” and “C’Mere”, with the latter surprisingly getting the bigger roar from the Portland crowd. From then on it was an even mix between new material and early stuff, with the crowd going nuts for Turn on the Bright Lights‘s “Say Hello to the Angels”. 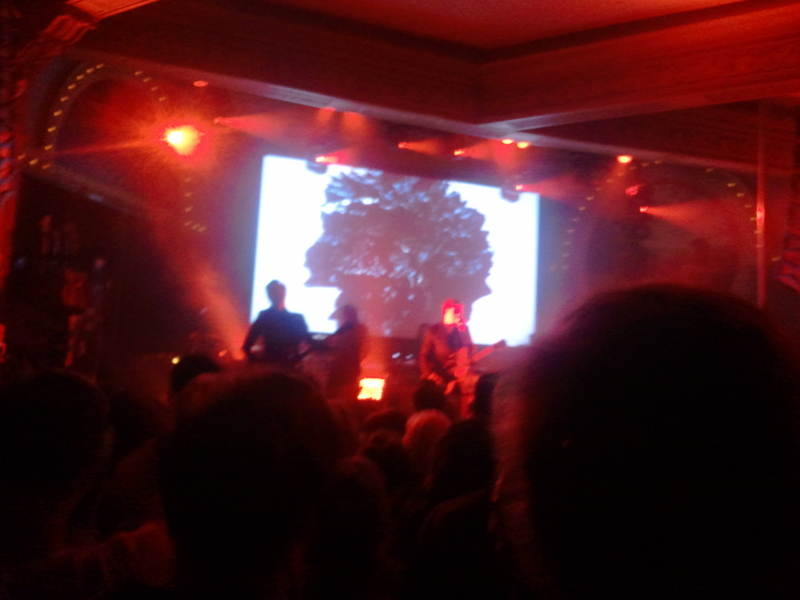 Our Love to Admire and Interpol only got one track apiece, with “The Lighthouse” being the surprise pick for the former and “Lights” leading off the encore for the latter. It seems clear that the band is distancing itself from those albums (with Dan and Sam remarking how they barely remember how to play the songs from OLTA in a recent interview), but the band is not heading to the nostalgia circuit any time soon. The new material was met with a rapturous response for the most part, an amazing feat considering the album was released just last week. The future is bright once again for Interpol, and hopefully the band continues to make the most of its “comeback”.